I was found to have hypothyroidism. They found 9 nodules on the right and 3 on the left. They said it was showing both types of cells, cancer and non-cancer. They had to end up removing 3/4 of my thyroids because I had ended up having Hashimoto's disease. To this day I have no thyroid left. The rest of what I have left have disintegrated due to the Hashimoto's disease. My surgery was done in 1999. I just found out I have hyperthyroidism. I was experiencing racing heart, pain, nausea, and hot flashes. I had no idea what was going on. I was admitted to the hospital. The doctor prescribed medications for me to take every 12 hours. I feel better. I had no idea my hyperthyroidism was the cause of my anxiety type feelings. I was working out twice a day and eating 4 to 6 meals and not gaining a pound. I actually was losing 5-7 pounds a day working out until I just overheated after a workout and could not cool down after a couple of hours. Then came a massive headache and tremors and vision blurring. 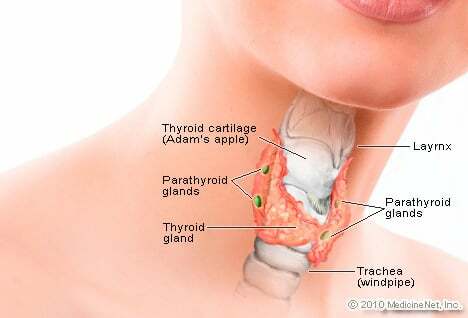 I was taken to the emergency room and diagnosed with a hyperthyroid. After meeting with the endocrinologist, we scheduled the surgery for removal by radiation. I learned I had hyperthyroidism on my own, while working in a lab; I tested my own blood. Then I went the doctors, and gave her my results. I started taking medication for it, but it made me too tired, so I stopped taking it. Its been about four years now, and I feel better; even tough my heart still races a little, but nothing like it did in the beginning. I went from approx. 130 lbs. to about 95 lbs., and I am now approx. 148 lbs. I was told that I have hyperthyroidism. My mother and my daughter has it. I would sweat a lot. I have very bad tremors to the point I couldn't perform at my job. My mouth is always dry. My heart rate was up to 140, I had to be on beta blockers. At the present moment I am waiting on a thyroid scan. At 25 years old, I was diagnosed with Graves disease. My doctor told me that my case was so bad that he could not believe that I was not in the hospital with a thyroid storm. I had many of the symptoms for years but was afraid to speak up to my doctors. I would encourage everyone to request a thyroid test. Thank goodness I had a new doctor who took one look at me and knew exactly what was going on. I was diagnosed with Graves 17 months ago. It had progressed so badly it affected my heart. I was in ICC for 3 days with atrial fibrillation for 14 hours, scared to death that my ticket was punched. Looking back I had Graves for several years, sweating, intolerant to heat, trouble with concentration and sleeping, irritable, sore joints (I wrote this off to hard work and hard play), palpations, and finally weight loss and then the A. fib. and hospital. My specialist diagnosed it right off. I've been on methimazole, 60mg for awhile then tapered down to 5mg 2X daily. I've got good days and some not so good. The feeling of depression and anger at times is almost too much. I don't know if the sleep loss is due to depression (functional) or the Graves affecting another body system, but thank God for modern pharmacology. Sleep is just a med bottle cap twist away. I hope this goes into remission soon.